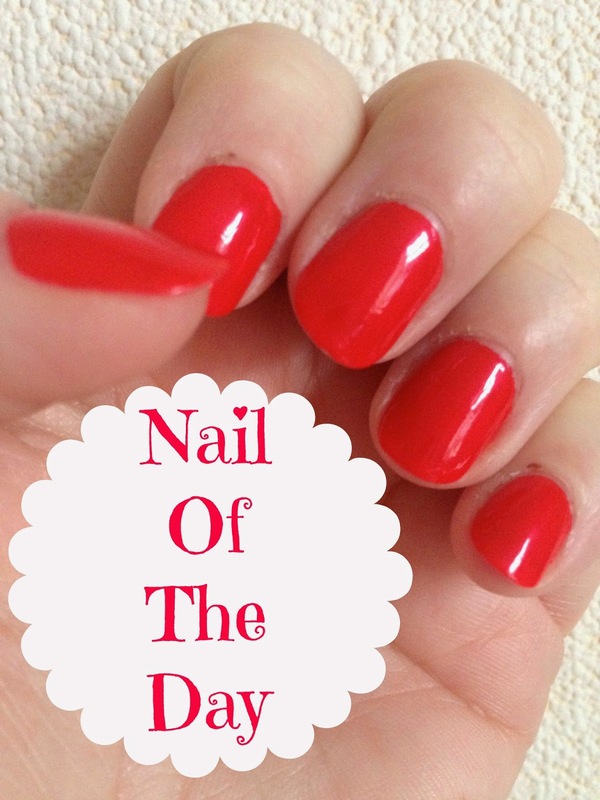 Today I have another NOTD post (nail of the day post). These are proving to be quite popular with you all so I thought I'd keep them coming. So without further ado, here's today's NOTD. 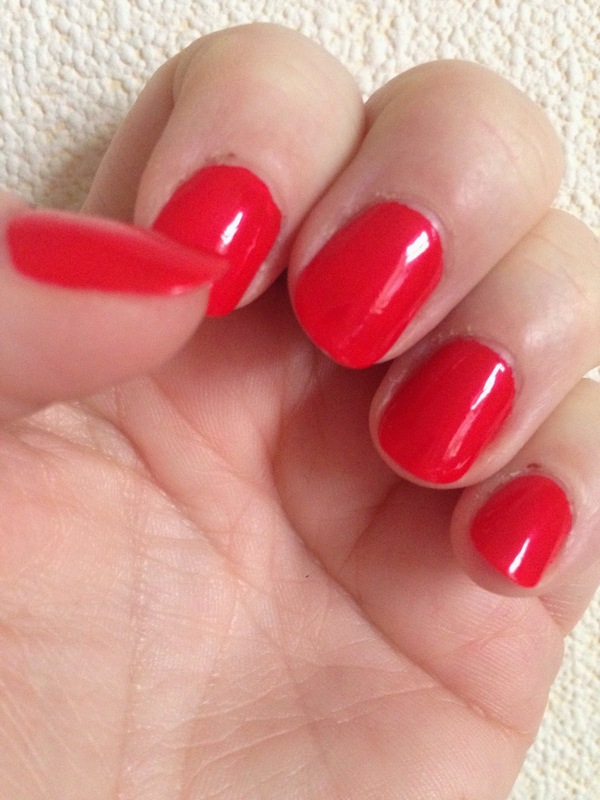 I then applied 2 coats of the Max Factor Gel Shine Lacquer nail polish in the shade Patent Poppy, available to buy here for £6.99, allowing each coat to dry fully in between. I finished off with a coat of my HG top coat, the Orly Glosser, available to buy here, again no photograph of the top coat needed it's featured so much on here already. I featured another shade in the Max Factor gel shine range on my blog a few weeks ago, (blog post here) that shade was Twinkling Pink, a gorgeous vibrant fuchsia pink colour, I loved the colour and the polish lasted ages without chipping, I said in that post that I wanted to try some more shades in the range before I gave my opinion on it. Patent Poppy is the second shade I have tried in the range, I recently bought it along with Sheen Merlot, (watch the haul video I show it on here) I'm yet to try the sheen merlot colour as I recently broke one of my nails so far down it was a mess and it has meant I haven't been able to paint my nails, don't you hate it when that happens? First world problems and all that! As with twinkling pink, I loved the application of patent poppy, it applied well and the drying time in between coats was good. 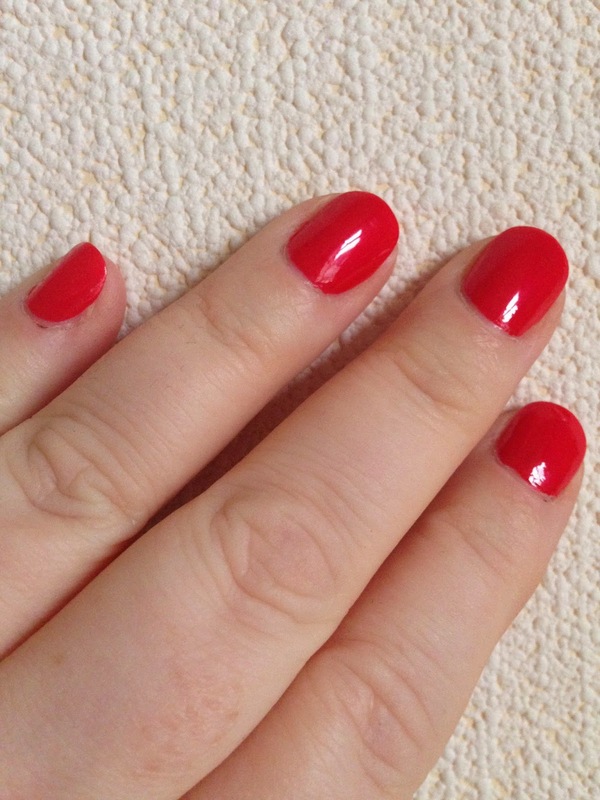 The gel shine polishes do have a lovely finish to them and they really do look gel like even without a top coat. As you can see from the above photograph the polish has a beautiful shine to it and is really glossy and does in my opinion look like a gel polish, please excuse my poor cuticles, I had used a cuticle trimmer for the 1st time and to say it was sharp is an understatement! 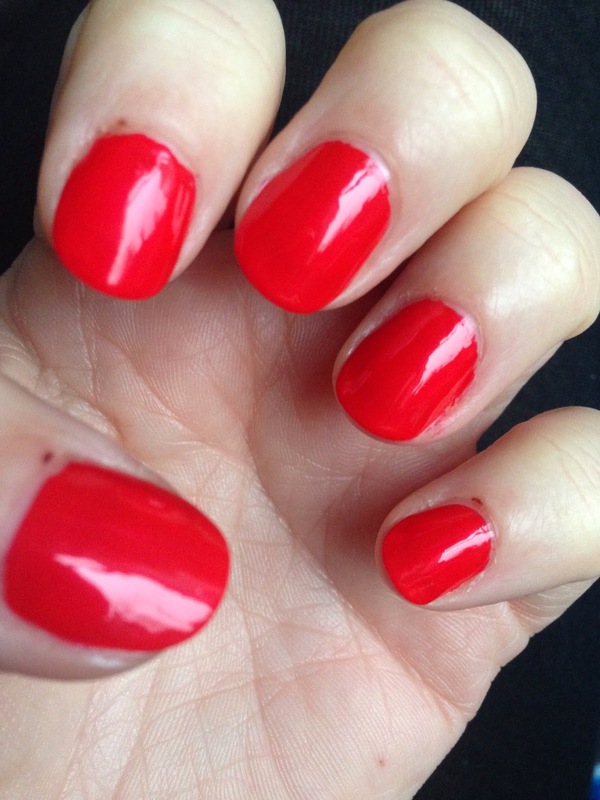 Patent Poppy is a beautiful bright true red colour and looks amazing on both the fingers and toes, it's a classic shade and one I feel would look lovely all year round but theres no denying this would make a fantastic Christmas nail shade. I did still apply a top coat as I always do with any polish, force of habit I suppose, but I was really disappointed when the polish chipped after just 24 hours, hoping it was just a one off I asked Lissy what she thought of it too and she said "I like the colour but it chipped really quickly" so unfortunately it wasn't a one off and the polish chipped quickly on Lissy too. The chipping issue is something that disappointed me because I think £6.99 is a lot to pay for a nail polish and for that price I'd hoped to get a little longer wear time from it as I did with the twinkling pink but I do adore the colour and the finish of the polish so it certainly won't put me off wearing it again. Overall I would recommend this polish because the finish and shade are beautiful, and in my opinion they do look like gel nails, it would cost me around £30 for a red gel polish to be applied at a salon and although I'd get 2 weeks out of it but I could buy 4 of these for less than that and have 4 amazing high shine colours on my nails during a 2 week period. I just wish there were more colours in the range, at the moment there are only 9 shades to choose from and I have the 3 I like the best so for now I won't be trying anymore of the gel shine lacquers, but watch this space for my review of the Sheen Merlot. 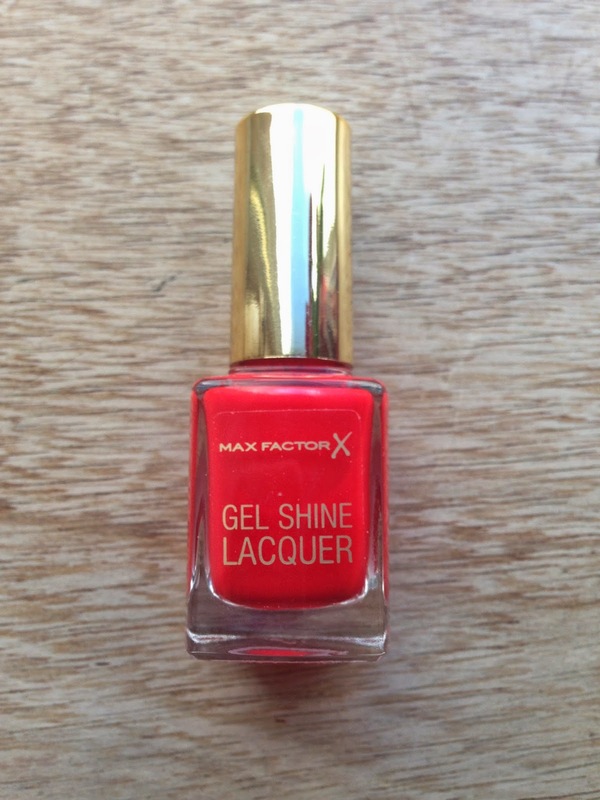 Have you tried the Max Factor Gel Shine Lacquers? Which are your favourite colours?